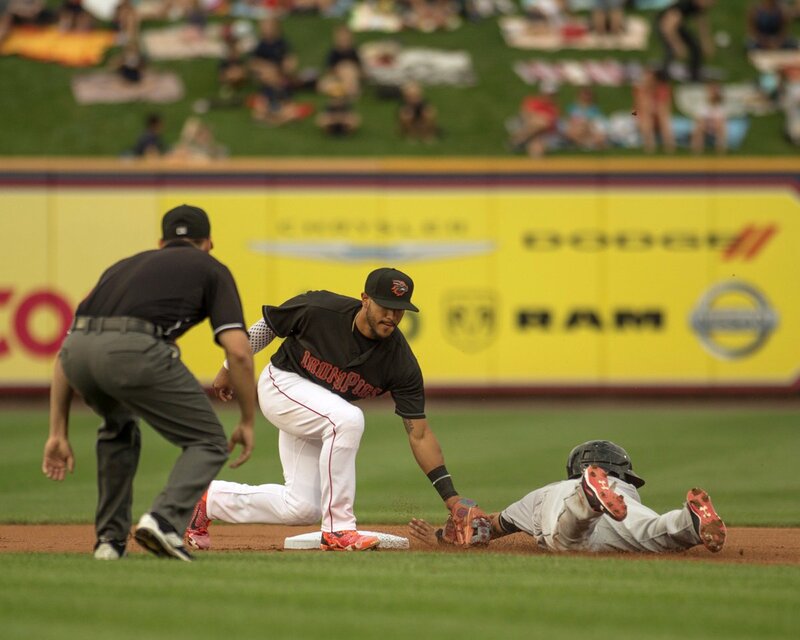 The IronPigs lost their third straight game last night, 3-2, dropping to 2-3 on the month of August, 2.0 games back of division leader Scranton, and but 3.5 games up in the wild card over Rochester. Veteran starter Anthony Vasquez scattered seven hits over seven innings, and gave his team a chance to win. Alas, lack of hitting, lack of timely hitting, lack of extra-base hits, and lack of runs will cost you games. Tickets are very limited for this game. Expect a sell-out crowd. LHP Adam Morgan (5-1, 3.24) toes the rubber for Bacon, whilst veteran LHP Andrew Albers (9-4, 3.23) will go for Rochester. Albers lost to the IronPigs his last time out. It seems every good team has an “ace.” Put aside the scouting terminology and all that for a second. I just mean, a pitcher in the rotation who can step in, will his team to win, and stop any kind of losing streak dead in its tracks. For the last couple months, that ace has been Jake Thompson. Last night would have been Jake’s turn to pitch, and maybe the IronPigs could have won 2-1 or 2-0–and it’s not to say that Vasquez didn’t pitch a fine game. But now Jake joins Eflin in Philly and starts tonight in San Diego–and we look to Adam Morgan to fill that role. David Buchanan showed the other night that he’s still somewhat prone to that big inning–despite his recent run of success. Adam hasn’t lost a AAA game since April 15 in P’tucket. We’ll look to him tonight to step in and will this team to win tonight. We could also use a few hits. I prefer the extra-base variety. “We” call proudly call ourselves “Bacon” and wonder why “we” always end up getting fried and eaten up? Particularly by certain Scranton pitchers, aye Colonel. Indeed … Nevertheless, it’s not too late to get IronRail Trophy glory this season, though. Perhaps if one group of people are dispatched to Philadelphia Phillies headquarters so that all telephone lines might be cut and another group targeted certain strategic cell phone towers, then Bacon USA might be able to keep its starting rotation in tact for the pivotal clash with SWB in Moosic this week. I think that the IronPigs’ bats were recalled in the middle of that last IronRail series, too, so it’s probably vital to Lehigh Valley’s chances to all communication links with the parent organization be severed for a little while.